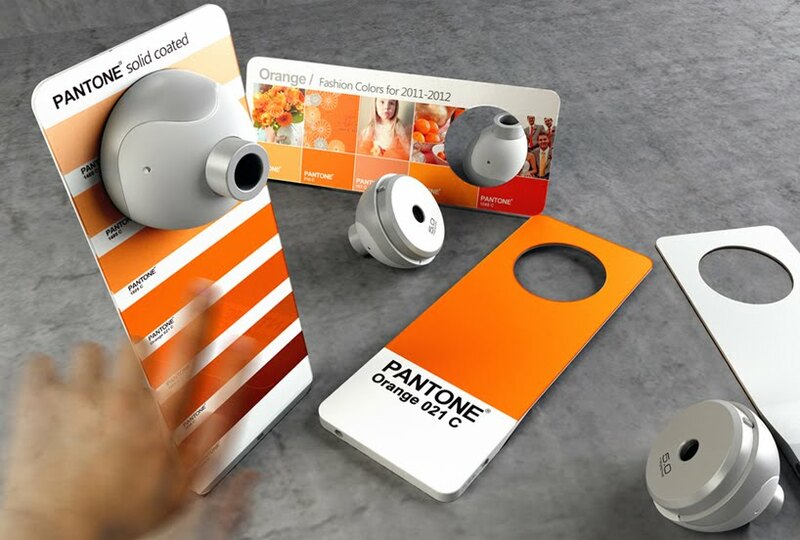 'Color elite', or 'e-swatches', a concept and structural prototype project by taiwanese design student chen liao-hsun, is a portable library of color swatches that serves also to scan and automatically identify the color of physical objects and surfaces. The device features a flexible e-paper screen with a circular cutout, into and out of which a small scanner can be inserted. 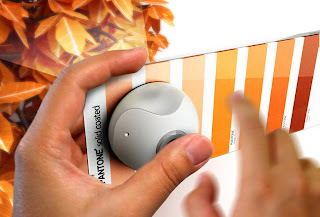 When disconnected from the scanner, the device can function as a swatch plate for a single color, with its open hole permitting users to make tone matches by sight. Selecting a swatch turns the entire sheet that color, to better verify a match. When the scanner is inserted, it is utilized via the 'auto-extraction' function to view and analyze the color of any object or surface it is placed in front of.